So, anyway: the Business Insider article’s headline was “It’s been 5 years since the iPad was unveiled – look how terrible the first one was” – in other words, isn’t the pace of innovation amazing; how quickly things become obsolete! My other reaction to this was to reflect on the reasons some people achieve what Steve Jobs achieved, while others merely dare to dream. (We won’t talk about those who don’t even dream.) And I was reminded of some of my favourite quotations: “Ready. Fire. Aim” (Ross Perot, via Tom Peters), and “Real artists ship” (Steve Jobs, via Seth Godin). A fundamental truth of innovation – “You miss 100% of the shots you never take” (Wayne Gretzky). In other words, have an idea; prototype it; get it out there; let the market be your outsourced, R&D department: the in-house version is more likely to be of the “Aim.Aim.Aim” school (per Perot again). 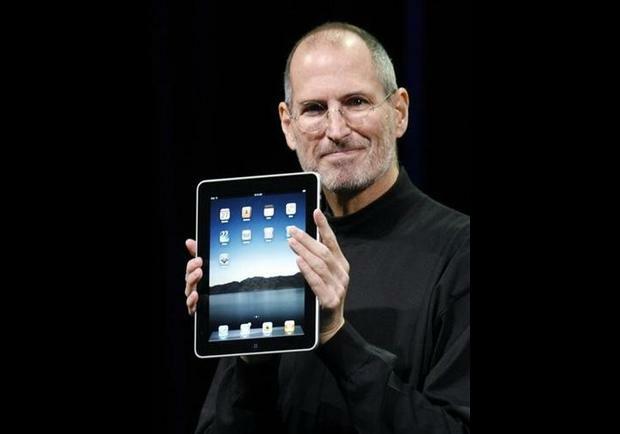 To conclude, as Jobs did on that day in 2005: “Stay hungry. Stay foolish.” Take a little time over the holiday weekend to stock-take: what ideas are hidden away, gathering dust? What projects am I sitting on? And when I get back to work, what can I ship – ready or not?